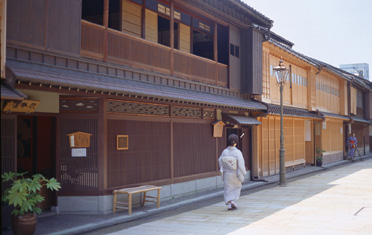 Kanazawa retains the atmosphere of a castle town and boasts a collection of topical tourist spots of international interest. Here we describe the recommended tourist route for the major tourist experiences you should try at least once if you come to Kanazawa, including strolling the streets, shopping, and good food. You can get around Kanazawa efficiently in a day. All you need is about five hours. 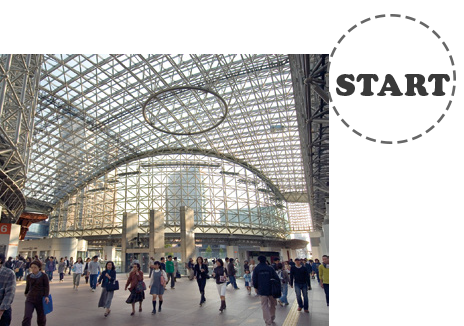 When you alight at Kanazawa Station you will be greeted by the Motenashi Dome, completed in 2005 from feature glass. Hop on a bus and head for our first destination, Higashi Chayagai District. with buildings housing vendors of gold leaf and traditional sweets, souvenir shops selling cute Kanazawa ornaments, and classy cafés. 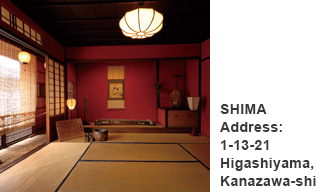 Don’t miss Shima, the only tea house structure in Japan to be designated a nationally Important Cultural Property. Built in 1820, the tea house has been immaculately preserved in its original form. As it was built to house the general arts of singing, music and dancing, it is unique for the fact that its upper storey guest rooms have no cupboards or dividing walls. Kenrokuen is one of Japan’s three most famous gardens. 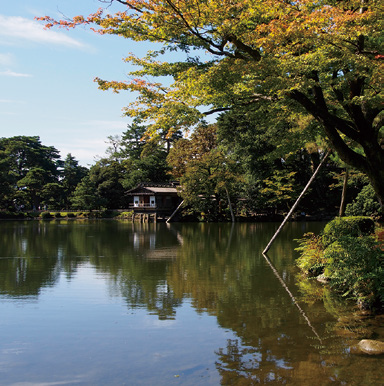 It is a chisen kaiyu, ‘strolling pond’, style garden typical of the Edo period and has its origins as the clan residence constructed in the outer blocks of Kanazawa Castle by the Kaga clan. Its charm transforms with the seasons, offering different views with the changing seasons. A must see is the Kotoji stone lantern for which the garden is known. After a Address: leisurely stroll around the garden, enjoy a snack at one of the tea shops lining the exit. The huge park was created around the restored ruins of Kanazawa Castle, which was the stronghold of the Million Koku of Kaga, dating from when Maeda Toshiie moved into the castle in the Edo period. The symbol of Kanazawa Castle, the famous Ishikawamon Gate, is designated a nationally Important Cultural Property. In spring the park is also very popular as a famous spot for cherry blossom viewing. The concept of the Kanazawa 21st Century Museum of Contemporary Art, which is a gallery that has many fans around Japan, was for it to be open to the town and in essence a ‘park- like art gallery’. 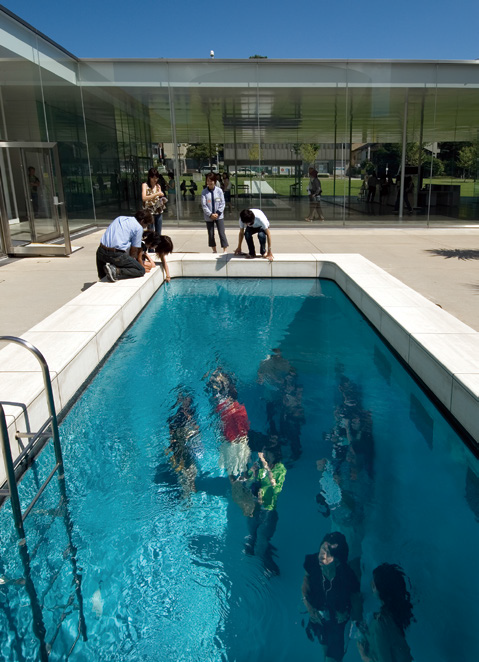 Leandro Erlich’s Swimming Pool is one popular spot in which a boundary created by the surface of a pool becomes a natural source of interaction. For our final stop we go to the Ohmicho Markets, which are popular with tourists. 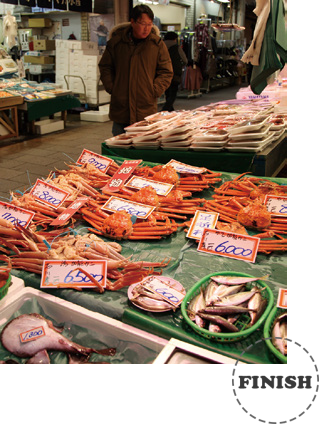 This is the kitchen of the people of Kanazawa, where shoppers can buy fresh seafood products and Kaga vegetables. Across the 2.8 hectare site there are 170 or so shops, including stores selling fresh food and commercial goods, and food and beverage outlets. Shop and taste test as you are surrounded by in a swirl of energetic cries of ‘It’s fresh!’, or ‘It’s cheap!’, and being on the coast of the Japan Sea, do not go past the seafood. Sushi eaten at the markets is unforgettable. The circuit or shuttle bus from Ohmicho Markets to Kanazawa Station takes about five minutes. Pop into the souvenir stores at Kanazawa Station to buy famous local sweets, seafood products, or gold leaf craft items. 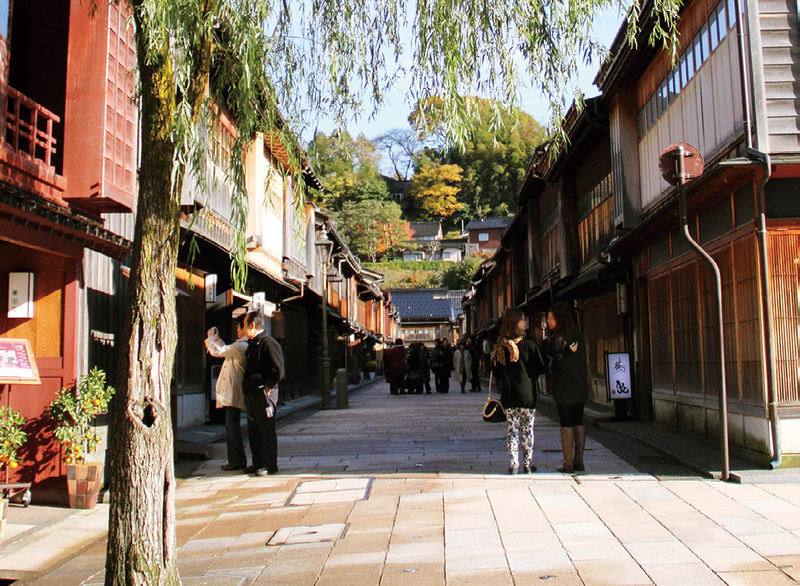 You can savour the delights of Kanazawa in just one day.